The right to inspect and review your education record within a reasonable time after the College receives a request for access. The right to request an amendment of your education records if you believe something in the record is inaccurate or misleading. The right to authorize the release of your student record information to whomever you choose (i.e. parents, spouses, etc). The right to consent to disclosure of personally identifiable information contained in your education records, except to the extent that FERPA authorizes disclosure without consent. One exception which permits disclosure without consent is disclosure to school officials with “legitimate educational interest.” A school official has a legitimate educational interest if the official has a “need to know” information from your education record in order to fulfill his/ her official responsibilities. Examples of people who may have access, depending on their official duties, and only within the context of those duties, include: college faculty and staff, agents of the institution, and representatives of agencies under contract with the College. Release of student record information is generally not done at West Shore Community College without the expressed, written consent of the student. However, there may be some exceptions. For example, “Directory Information” at WSCC includes the following, and may be released without the student’s consent: name, address, e-mail address, telephone number, dates of attendance, enrollment status (full or part-time), field of study, degrees and awards, and participation in recognized activities.  You have the right to withhold the release of “directory Information.” To do so, complete the form Request for Confidentiality of Directory Information, which is available from the Student Records Office. Please be aware that placing a “no release” on your record would prevent the College from releasing information about you in a number of situations, to include: information to a prospective employer , such as degree earned or dates of attendance, the news media, college publications, such as the commencement program, Dean’s List, other honors and college-related activities. Lastly, to authorize the release of your student record information, you must fill out the Student Information Release Authorization Form, which can be obtained from the Student Services Office. Questions about FERPA, a copy of FERPA, more details about your rights and any College policies related to the Act are available from the Student Records Office, located in the Schoenherr Campus Center or by calling (231) 843-5510. As a student, your WSCC network password allows you access to a variety of technology services including your academic records, financial aid information, tuition balance, 1098-T, course work in Canvas, and your email. As a faculty/staff member your network password allows you access to all resources available to students as well as your classes in Canvas, submission of grades, course schedule, general ledger details, employee statements, your email and much more.